Open enrollment season can be a stressful time of year, but it doesn’t have to be. The team at Launchways has put together an open enrollment checklist that will help make sure your team has a smooth enrollment experience. Conduct employee surveys to determine workforce healthcare and benefits preferences. Leverage survey results to make relevant changes/additions to your benefits program. Consider offering additional benefits beyond healthcare and life insurance. These might include telemedicine, a student loan assistance program, employee discount program, or a financial wellness platform. Consider offering new benefits, even if they’re 100% voluntary. Many employees highly value the option to partake in voluntary benefits. Work proactively with your broker on plan design changes to ensure all changes are completed well in advance of open enrollment time. Consider leveraging an online benefits enrollment software. Benefits administration software allows your enrollment to go paperless and provides educational tips to help your employees pick the right plan for their family’s needs. Make a list of all new changes that will enhance your benefits program and/or enrollment process. Make a plan to communicate these key highlights with your team. 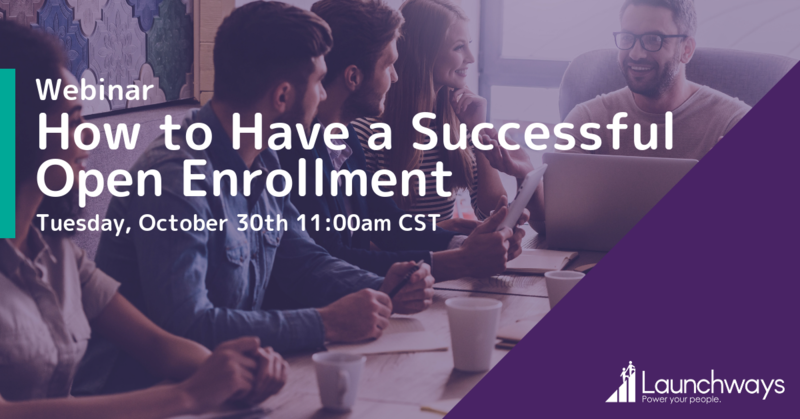 Create an enrollment communication strategy. Determine all the communication channels you will use and what materials you need to create for open enrollment. • For HDHPs (high deductible health plans), confirm that the plan’s deductible and out-of-pocket maximum comply with the 2019 limits. • Communicate any plan design changes to employees as part of the open enrollment process. Remember that the key objective of open enrollment is to get all your employees enrolled on-time for the benefits plan that’s best for their family’s needs. A strategic communication plan can ensure employees know when and how to enroll, and can even help them pick the best benefits plan for them. Keep in mind that minimizing confusion during open enrollment time is key. This is why proactively communicating plan changes is important.